Sound Learning produced their first educational publications in 1994. They now provide a wide range of innovative educational resources and record keeping systems for primary schools, nursery schools, day nurseries, pre-schools and playgroups. Words First, our reading scheme, is used in schools across the UK. 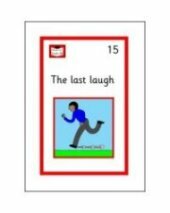 Developed by Colin Harris, a former special school head, it has helped many children who were struggling with their reading. 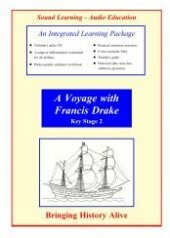 Our History packs are unique in combining a story on CD with a book containing a wide range of differentiated photocopiable worksheets. We also have a range of Religious Education packs which follow a similar format. 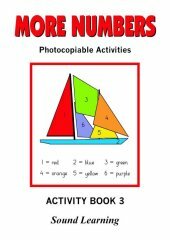 For nurseries, pre-schools and playgroups we provide a range of photocopiable Activity Books and Topic Books which can relieve you of much of the burden of planning and preparation. Over 15,000 copies of our record systems for pre-schools have been sold. 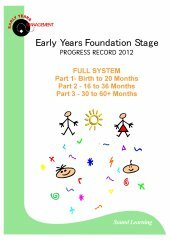 The EYFS Progress Record (for the Early Years Foundation Stage) is closely linked to current government guidelines.